John is delighted to have been featured in Digital Camera Magazine as the top pro photographer of the month. In this article, the Magazine joins John and his team as they give an insight into a photoshoot at the Margot restaurant. 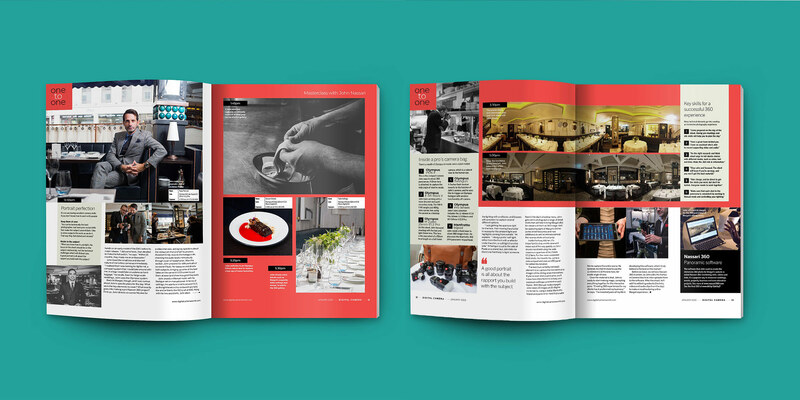 The award-winning Italian restaurant situated in the heart of Covent Garden (London), briefed John to create a 360 panorama for their website. The entire creative process, from the best gear to use, to how to work and relate to your subject, has been beautifully captured in this article. As well as showing the exquisite table settings that John captures using his 360 software, the magazine also gives us an insight into how John plans his shoots to perfection and his top advice on the key skills that everyone should have to create a successful 360 experience. Make sure to check out Issue 211 of Digital Camera Magazine for the full feature!